As part of our effort to support growth and innovation in the interactive entertainment industry, the AIAS Foundation and its partners are holding a series of educational summits. These one-day events will seek to answer pressing issues faced by game developers and to promote professional development. 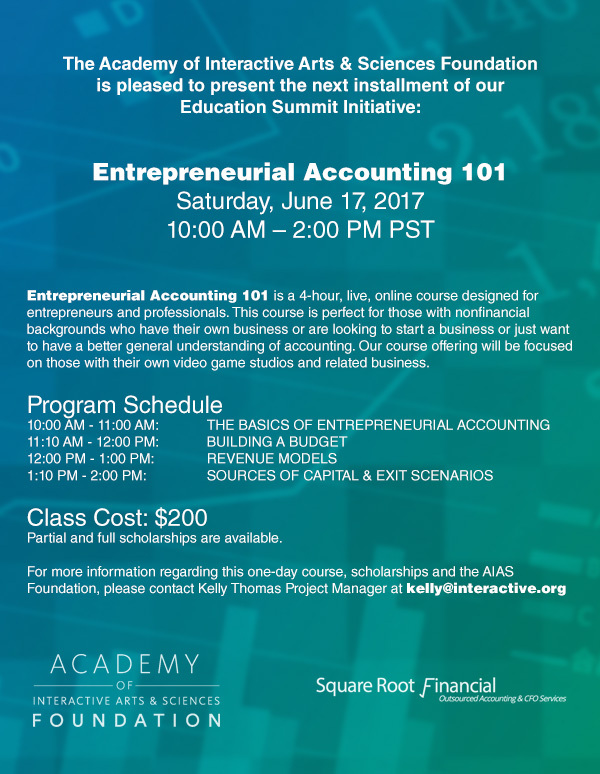 Our last educational summit was an online workshop teaching entrepreneurs finance for start ups and small businesses. Participants with wildly different finance knowledge all reported gaining knowledge and feeling empowered to make business decisions based on solid financial planning. Catch the day's sessions streaming here.